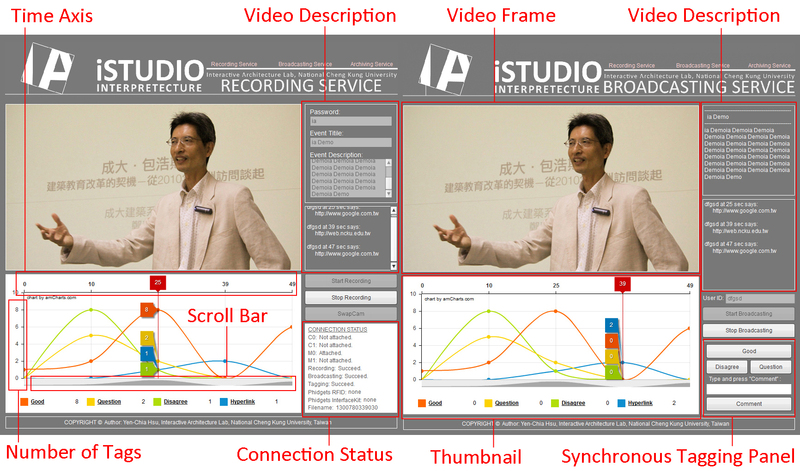 Real-time video streaming has been widely used in multimedia learning environments. As production of online videos is increasing exponentially, it is becoming more difficult for users to reach relevant content. 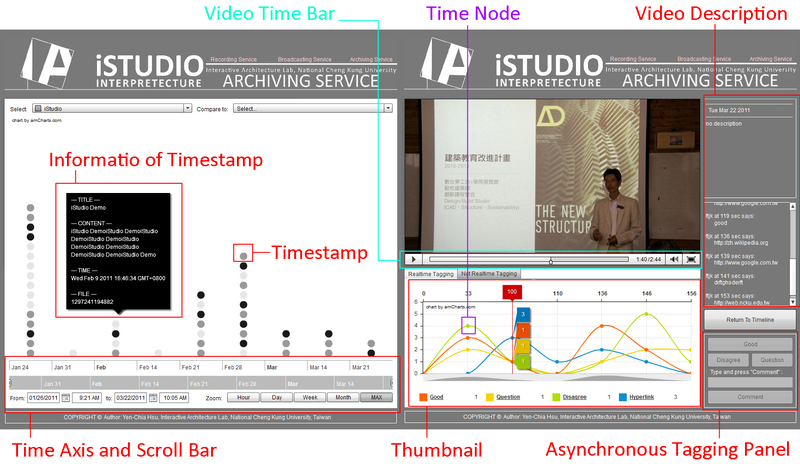 In this paper, we propose SynTag, a web-based platform that enables users to label three types of tags—Good, Question, and Disagree—and to make comments synchronously and asynchronously with visualization of time-stamp video previews on an interactive timeline. SynTag generates real-time thumbnails by using real-time tags for presenters to receive instant feedback and for other users to retrieve presentation videos. In a pilot study, we found our users’ tagging behaviors significantly different when they were in lecture events or discussion events. We envision that enabling users to apply tags in real-time will help reduce the complexity of classification of videos. For citation, please visit the ACM link of this paper. Thanks to amcharts‘ free version Flex charts API. Thanks to all group members and Prof. Tay-Sheng Jeng. Thanks to Jackie Chia-Hsun Lee‘s research method suggestions.